SpaFinder Wellness is the world’s largest spa and wellness resource. 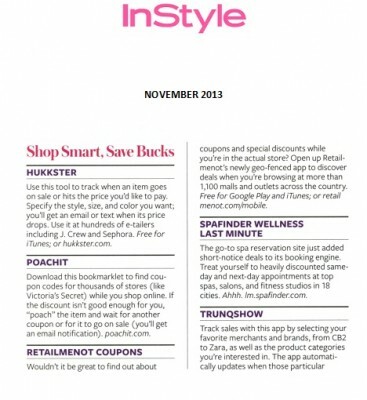 SpaFinder Wellness’ Last Minute is highlighted in the November issue of InStyle as part of its annual Best of the Web. PKPR worked closely with reporter Alix Strauss to shape an in depth, full-page feature looking at how Spa Finder’s new Last Minute feature is at the forefront of a new wave of web services that allow customers to book same-day, discounted appointments on everything from spa, salons, and gyms to hotels and restaurants. 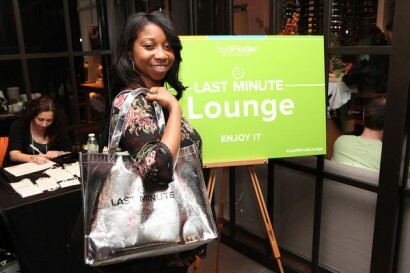 For the launch of Last Minute, a new service that offer same-day or next-day deeply discounted appointments at top spas, salons, and fitness classes, PKPR developed a comprehensive PR and marketing program that included a media-only launch event, deskside meetings and product demos at top national magazines, and an online advertising campaign. First up, PKPR conceived and developed “The Last Minute Lounge,” an event at The Andaz Hotel, where more than 35 journalists from top outlets, including The Today Show, Wall Street Journal, Glamour, Self, Essence, New York Daily News, and Time Out New York had an opportunity to test the service and experience mini-services and treatments from Last Minute partners like Clarins, Cornelia Spa, and Franky L’Official. For media that could not attend the event, PKPR coordinated deskside meetings for SpaFinder Wellness with editors from Vogue, InStyle, Lucky, Good Housekeeping, and Ladies Home Journal. In addition to DailyCandy and Self, coverage of the launch so far includes ABC News Tech Bytes, Wall Street Journal, PureWow, New York Daily News, Racked, DailyGlow, and Styleite. PKPR also developed creative and strategy for an online advertising campaign targeting potential customers in New York City, Chicago, and Miami. PKPR booked a fantastic segment this morning for SpaFinder Wellness editor Jackie Burns on CBS News York’s On the Couch morning show. Jackie shared her tips for ways you can spa-ify your home and reap all the benefits of a day at the spa without leaving the house - from a towel warmer and stone bath math to DIY recipes for at hand treatment and body polish. With the gift of spa becoming one of the most fashionable Mother’s Days gifts, PKPR executed a comprehensive campaign highlighting that the SpaFinder Gift Certificate is the only gift certificate valid at more than 7,000 spas around the world - from vacation resorts like Canyon Ranch to gyms like Equinox. The results? SpaFinder Gift Certificates were highlighted in more than 25 Mother’s Day gifts guides and segments, including a major segment on the TODAY Show with style correspondent Amy Goodman, and video segments on Yahoo! TV (with Martha Stewart Living’s Editor Pilar Guzman) and BellaSugar TV. Other outlets showcasing SpaFinder Gift Certificates in their Mother’s Day Gift Guides included USA Today, Huffington Post, RadarOnline, Fox Business, and Stylist.com. Finally, men also recognized that moms everywhere need some R&R, with AskMen.com agreeing that there’s nothing quite like the indulgence of getting a professional massage. 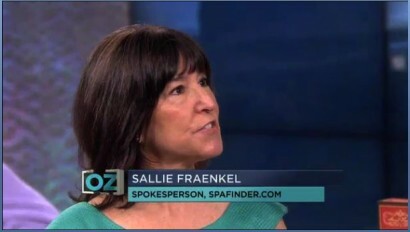 On today’s episode of The Dr. Oz Show, SpaFinder’s Sallie Fraenkel was dubbed “the ultimate spa insider” by Dr. Oz. Sallie appeared on the show to share and demo DIY at-home spa treatments inspired by three of the world’s top spas. You can watch the full segment here. 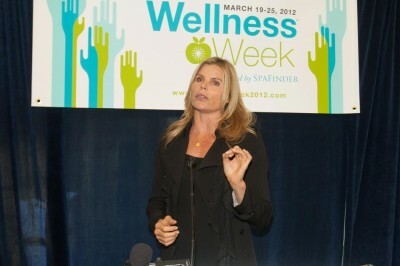 For SpaFinder’s Wellness Week, PKPR coordinated a national media tour for spokesperson Mariel Hemingway in Los Angeles, Chicago, and New York City. Appearances included Access Hollywood Live, VH1 Morning Buzz Live, Better, and The Dr. Steve Show, as well as interviews in outlets from Shape to CBS News. To raise awareness of Wellness Week in March, PKPR conceived and organized a launch event on Capitol Hill in Washington D.C. yesterday. The event served as the kickoff for the National Wellness Week Pledge, seven simple ways Americans can take charge of their health. 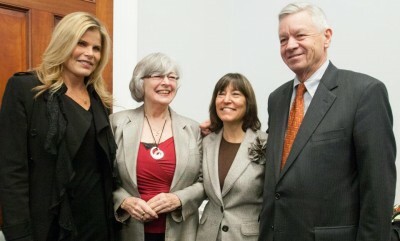 Wellness Week national spokesperson Mariel Hemingway was joined by a bipartisan Congressional team led by Representatives Lynn Woolsey (D-California) and Tom Petri (R-Wisconsin). More than 100 guests, including media, legislative staff, and representatives from national health care advocacy groups attended the standing room only breakfast and signed the Wellness Week Pledge. Following the event, PKPR arranged for Hemingway and SpaFinder’s Sallie Fraenkel to meet with Congressional leaders, including Senator Barbara Boxer and Congressman Joe Pitts to discuss how wellness and prevention are crucial to reducing long-term health care costs associated with chronic diseases like obesity, diabetes, heart disease, and cancer. Coverage of the event ranged from The National Journal to the Washington Express to The Hill. On January 11th, PKPR planned and organized a media luncheon for the announcement of SpaFinder’s Spa Trends Report for 2012. Held at the Guerlain Spa at the Waldorf Astoria, the event was attended by journalists from 25 top outlets including The Today Show, Good Morning America, The New York Times, The Wall Street Journal, Associated Press, Reuters, Financial Times, Health, and Ladies Home Journal. Coverage of this year’s report so far has ranged from Associated Press, Reuters, Huffington Post, New York Daily News and Fox News to Yahoo! Shine, SheKnows.com, and the Toronto Sun. PKPR secured a major national television placement for SpaFinder today when editor Diana Wright appeared on The Doctors to demonstrate do-it-yourself spa and beauty treatments using Halloween-friendly items like pumpkin and chocolate. Check the video clip out here. 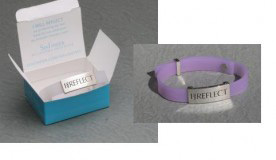 For Melanoma Awareness Month this May, PKPR promoted SpaFinder’s “I Will Reflect” bracelet which changes color when when exposed to harmful UV rays to remind users to cover up and practice sun safety. After a successful pilot launch in New York City and Los Angeles, SpaFinder expanded SpaRahRah, its deals program featuring exclusive discounts on spa, wellness, and travel packages curated by the experts at SpaFinder. The program now includes national travel packages, as well as local deals in South Florida and Dallas. PKPR secured a great segment on The Today Show today highlighting SpaFinder Gift Certificates as a great last-minute gift for Mother’s Day. Other top outlets featuring SpaFinder in their Mother’s Day gift guides include Shape, Huffington Post, The Daily Glow, Fab Fit Fun, She Knows, and MomFinds. 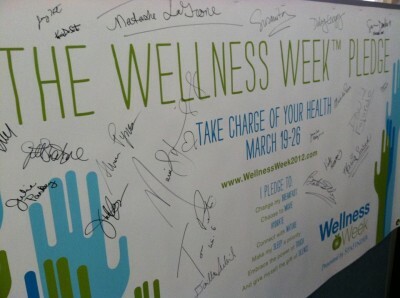 PKPR developed and implemented an aggressive, national campaign to promote SpaFinder’s Wellness Week 2011. With more than 500 spas, fitness centers, and yoga studio participating in cities across the country, PKPR went deep securing more than 40 in depth TV segments on local stations in New York, Los Angeles, Chicago, Dallas, Boston, Atlanta, Philadelphia, Houston, Miami, Columbus, Detroit, Las Vegas, Phoenix, Tampa, and more. Check out some of the best segments below. Atlanta - WXIA-TV (NBC): Are Spa Weeks a Good Deal? 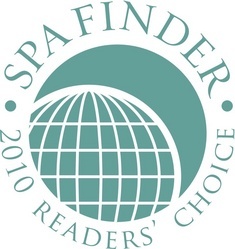 Check out this awesome photo gallery on Huffington Post of the world’s top spas as selected by thousands of fans in the 2010 SpaFinder.com Reader’s Choice Awards. PKPR secured major coverage for SpaFinder Deal Days in markets across the country, from New York City, Los Angeles, Chicago, Washington, D.C., and San Diego to Philadelphia, Detroit, Seattle, Portland, and Birmingham. Check out some of the highlights below. From September 20 - 26, hundreds of spas, yoga studios, and Pilates centers nationwide will be slashing prices by 50%, or offering flat-rate $50 deals on treatments and classes. It’s all part of Deal Days, a major national promotion developed by PKPR client SpaFinder. To encourage early sign-up and bookings, PKPR has implemented an aggressive national and local campaign. National coverage to date has included Fitness Magazine, USA Today, MSN.com, AOL, iVillage, Women’s Health, and Seventeen. Local coverage includes Time Out Chicago, New York Daily News, Philadelphia Magazine, Denver Post, Atlanta Journal-Constitution, and the Austin American-Statesman. Check out this great segment that PKPR developed for WABC’s Lauren Glassberg on the hot new trend of cold spa treatments. PKPR managed the publicity campaign for the first-ever SpaFinder Deal Days, a national program in which hundreds of spas offered luxury spa treatments for just $50. The multi-tiered campaign included national outreach, a morning drive radio tour with spokeswoman Joan Lunden, an NYC street promotion with a team of models dressed in spa robes, and aggressive local outreach in top markets across the country, including New York, Los Angeles, and Washington, D.C. Highlights of coverage included: USA Today, Conde Nast Traveler, Time.com, Real Simple, Self, Los Angeles Times, Cafe Mom, Boston Globe, BellaSugar, Atlanta Journal-Constitution, and the Orlando Sentinel. To raise awareness of Melanoma, SpaFinder created photosensitive �I Will Reflect� wristbands that change color when exposed to UVA & UVB rays. PKPR is implementing an aggressive public relations and marketing campaign to promote the bracelets and SpaFinder’s Melanoma Intiative throughout summer 2008. On the marketing front, PKPR developed promotion partnerships with Woman’s World, Soap Opera Digest, and Quick and Simple. Finally, PKPR coordinated morning drive radio interviews for SpaFinder editor Melisse Gelula in major markets across the United States on May 14th, including Boston, Denver, Atlanta, and St. Louis. More than 75 reporters attended an exclusive media preview for SpaFinder’s Spa Experience, a free, four-day event at Grand Central featuring 50 spas from around the world. Coverage included USA Today, ABC News 20/20, BusinessWeek Weekend TV, Good Day New York, CW11 Morning News, Bloomberg on the Weekend, WCBS-TV, New York Post, Daily News, Woman’s World, and AARP The Magazine (link to PDF), the world’s largest circulation magazine, and Budget Fashionista.